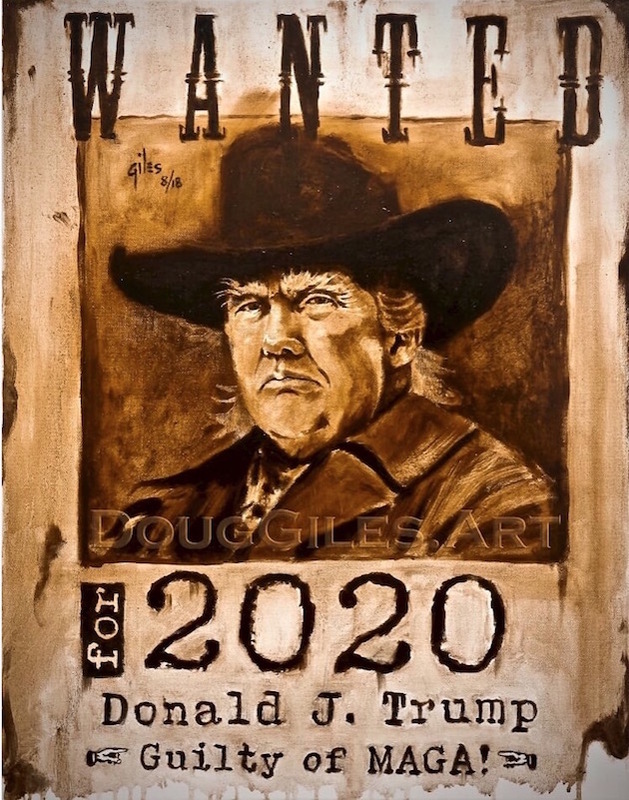 If this is a litmus test for 2020, then things are looking pretty damned good for President Trump! President Trump will always have his detractors like Hollywood celebrities, Big Tech executives, radical socialist college professors, radical socialist college students, race-baiting activists, the Media(D), and the entire cohort of Democrats. When President Trump gave his first State of the Union address, Democrats were so entrenched in their #ResistTrump that they decided to not clap or stand when record-low black unemployment was mentioned. It really bit them in the backside. So, they decided to do things a little differently this time. They were gonna clap, dammit! Sure, Pelosi was rage-clapping, but that’s not the reaction that most Americans had. They loved the speech. 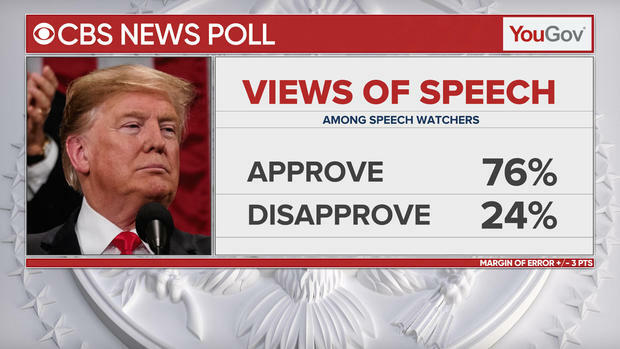 More than three-quarters of the people that watched the speech approved of it according to a CBS News poll. 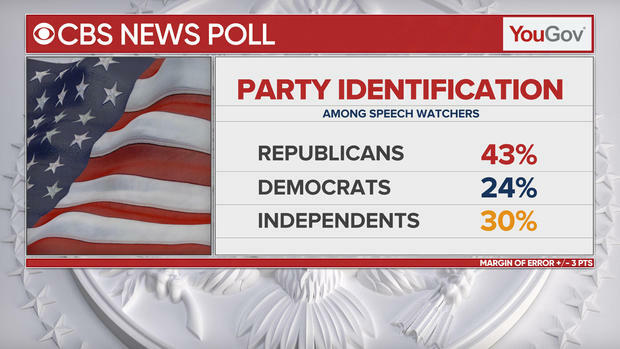 Not surprisingly, most of the people (43%) who watched the speech were the same party as the President. The rest were 24% Democrats and 30% Independent. Now, keep in mind that because 43% were Republicans, that does skew the numbers in Trump’s favor. Unsurprisingly, the majority of Democrats disapproved and nearly all Republicans approved. 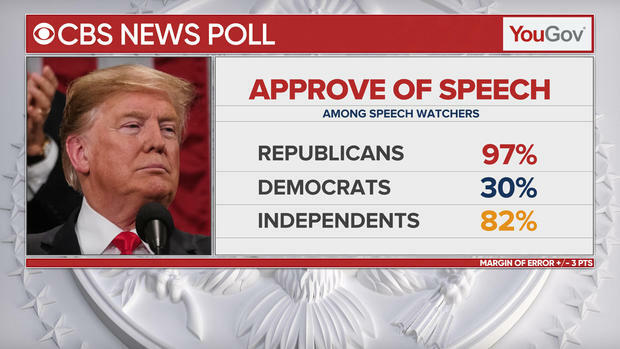 The shocker is with Independents who vastly approved of the speech. 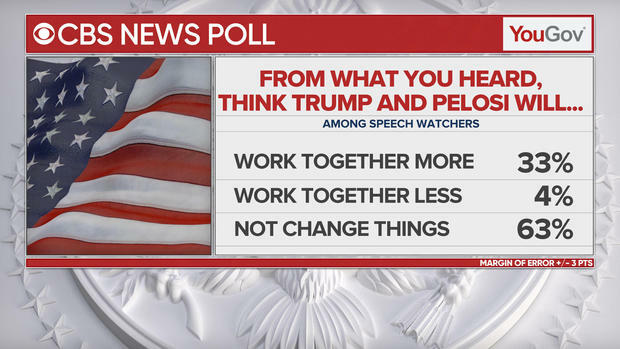 Americans remain cynical that this speech that began with lots of talk of uniting Americans across party lines is going to actually change things. (Maybe they noticed Nancy’s disapproval and her angry clap.) The question is, who do they blame for the lack of cooperation? If poll numbers are any indicator, then Americans blame Nancy. But, they’re not completely cynical. 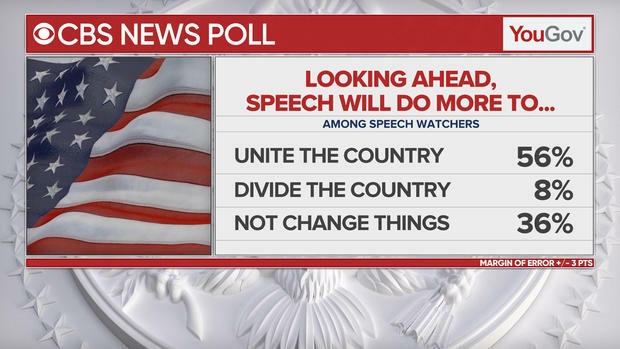 More than half think that the speech will actually unite the country. And, despite the rampant anti-Trumpism, only 8% of people believe that it was divisive. 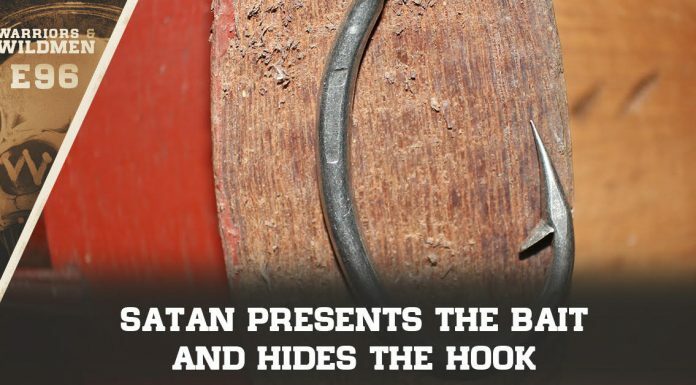 Here’s where CBS gets to the nitty gritty of it all. The particular policies espoused in the speech. 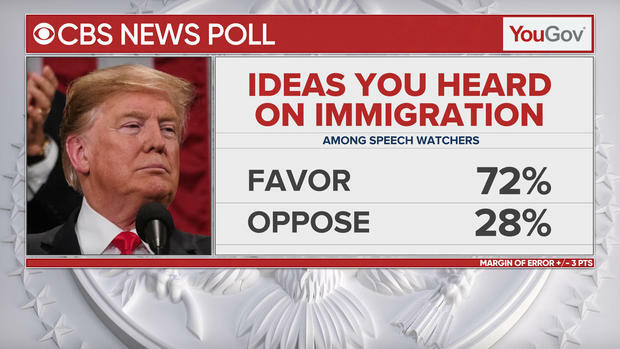 The vast majority, 72%, are on-board with Trump’s immigration plan. I guess that means that the Dems should walk back that ‘Abolish ICE’ agenda that they were pushing last year. 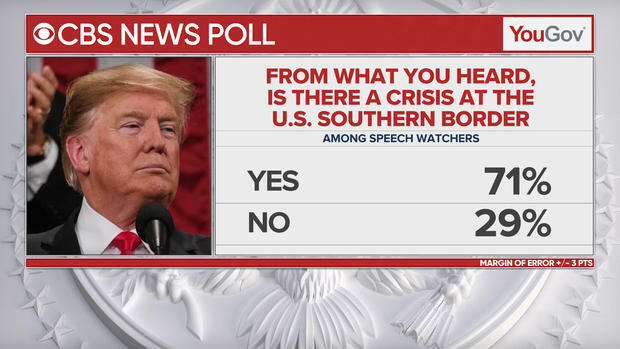 Speaking of ICE, it turns out that most Americans also think that there is indeed a crisis at the southern border. That’s because Americans don’t like it when people bypass our legal system and come in illegally. We are a nation of laws, and if anyone wants to join this Great Experiment, that’s fantastic! Just do it the right way — legal immigration. The Democrats that mocked President Trump for meeting with Kim Jong-Un are vastly out of touch with what the average American believes is good foreign policy. 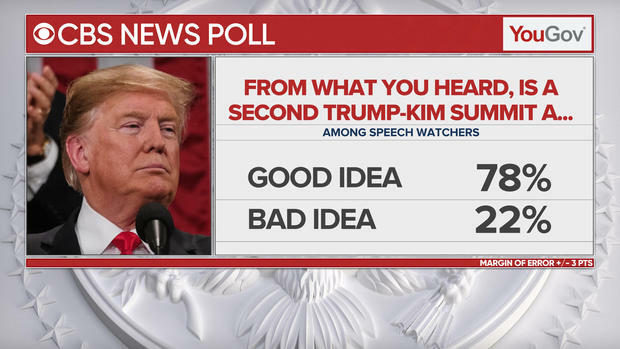 Seventy-eight percent of people believe a second Trump-Kim summit is a good thing. As for our Middle East policy, again, nearly three-quarters of respondents approve. Remember what I said earlier — because 43% of respondents were Republican, you’ve got to take the poll with a grain of salt. But, assuming that 100% of Republicans answered these polls and agreed with President Trump, that means that 30% of Independents and/or Democrats agree with his vision of where to take the country policywise. Dang. That’s got to be a real blow to Democrats and their two years of #Resist activism. It looks like they could’ve been working with President Trump the entire time and that would have been in line with what the majority of Americans want. Democrats, with their Media(D) bubble, their Big Tech buddies, the heads of universities, and hobnobbing with Hollywood celebrities are now the party of the Elites and obviously out of touch with the average American.